Marley lives with his parents above the Rialto Theater, which they own and operate. The Rialto shows old movies on the old reel-to-reel projectors, including occasional silent movies for which Marley’s mother plays the live music. Marley’s mother is blind due to a degenerative retinal disease and her character is an important aspect of Marley’s story, in that he sees modeled in his mother an example of strength and courage and determination. Marley’s love for his parents also adds to his own distress in that–like SO many of us–he doesn’t want to tell them about what he is suffering at the hands of other students. Part of that reluctance comes from wanting to protect his parents from the knowledge, and part of it comes from the unwarranted embarrassment and shame that comes with being treated cruelly by others. When a new student arrives and joins the AV Club and eventually observes Marley being constantly harassed, hit, called names, etc., becomes angry and demands to know why no one is reporting the abuse we discover the reason Marley is the bullies’ target: he stood up for another student (friend) who was receiving the same treatment. When Marley tried to stop the abuse of his friend, the bullies turned their venom on Marley–which is often the case for the individual with enough courage to stand up for another. I liked Warp Speed because Marley’s character is so genuine, his narration so heartfelt and achingly honest. 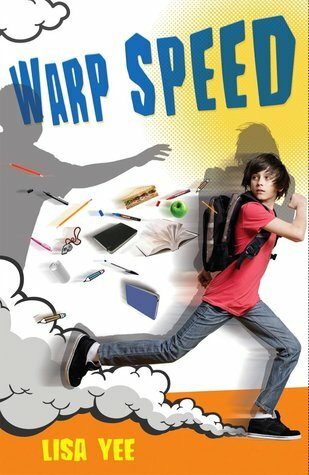 The significant aspect of Warp Speed is that the book allows the reader to see beyond Marley’s outward appearance. The stereotypical “nerd” characteristics that his peers see (Star Trek uber-fan who sometimes lapses into Klingon, AV Club member, non-designer/trendy clothes, etc.) are true aspects of Marley’s personality. The difference is that Marley continues to conduct himself–throughout the book–in accordance with his beliefs and values and without giving up the things he DOES truly enjoy (like Star Trek and AV Club) while continuing to search for ways to feel the sense of belonging and acceptance that every one of us needs. He never gives up who he is as a person and THAT is something worth reading!